Username or Email Forget Your Password? Our unwavering commitment to the professional beauty industry is our greatest passion. We know that your success relies not only on the right products and tools, but the right training and education as well. This website is designed to support your goals and success. With an ever-expanding lineup of complimentary in-salon classes, interactive workshops and inspiring events, Paul Mitchell® Education will help you and your team explore your creative talents and stay motivated. Have instant access to our online library of training videos. Gain the skills, knowledge and confidence you need to grow–right from your own computer! Welcome to your resource center where you'll find access to exclusive content on our professionals-only blog to set you up for success! Our online salon and school locator on paulmitchell.com drives more than half a million customers to your salons and schools each year. A world of support materials is at your fingertips! More than 100 downloadable images, color formulas, techniques and business-building tools are available to enhance your salon's branding and services. Additionally, our Facebook and Twitter pages offer timely product updates for professionals, while promoting brand awareness to consumers. Whether you're a seasoned stylist or just starting out, we have the classes, seminars and workshops that are tailored to your salon's individual needs. Our network of more than 1,000 National Educators and top artists are waiting to help you ignite your skills and boost your business with new collections and techniques. Any of our three Perks Program levels will help you grow your business, invest in your salon's education and maximize your profits and sell-through. Join a network of outstanding salons and stylists who already enjoy these perks! 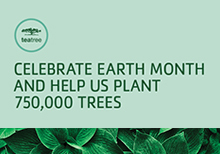 Spread the #RootedInGreen message with products, partnerships and promotional materials designed to educate and inspire in celebration of Earth Month. 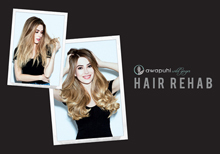 Instantly transform damaged, dehydrated hair. Grab your customers’ attention with powerful in-salon merchandising. 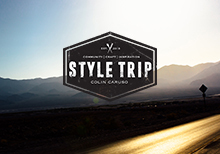 Come along with Colin Caruso in his new web series that takes you inside real salons and communities across the country to explore the craft of hairdressing.